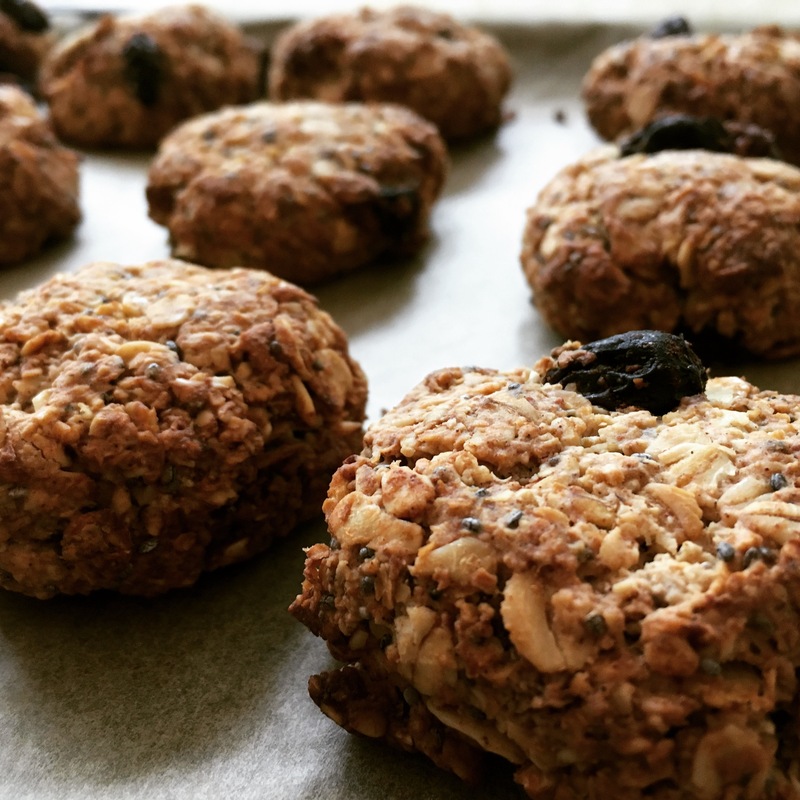 Whilst the kids are off, these oat cookies are so easy to make and are a great alternative to a sugary snack such as sweets or cakes. They are an adapted version of Deliciously Ella’s orange and Cardamom cookies but I have adapted the taste to suit children and incorporated a bit more protein. The oats provide a slow release carbohydrate that is low GL that can help to provide a slow release of energy The chia and pumpkin seeds provide a good source of protein which can help you to feel fuller for longer. They also both contain omega-3 fats which possess anti-inflammatory properties. This recipes makes 10-12 cookies and they will keep for up to 3 days in an airtight tin. Hand roll around 1 tablespoons worth into a ball and place it onto the tray. Repeat this until you have 10-12 cookies then flatten each one gently.